What size fuel injector do you need for your Mustang or SVT Lightning? 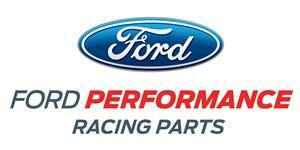 Read the excellent info below from our friends at Ford Performance Racing Parts! One of the more commonly misunderstood aspects of Electronic Fuel Injection (EFI) is how to select the correct size fuel injectors, fuel pump and Mass Airflow (MAF) sensor for a particular engine horsepower output. The following information is intended to offer a very brief tutorial on properly selecting the most common EFI components. First and foremost, adding larger fuel injectors alone will NOT create extra horsepower! The purchase of larger fuel injectors should only be considered when your engine has exceeded the horsepower capacity of the existing fuel injectors, at which point larger injectors are then required to SUPPORT the additional horsepower. If you add larger-than-stock injectors to an otherwise stock engine, you should not expect any horsepower increase whatsoever. In fact, you will most likely create many drivability issues that were not present before the swap to larger injectors. The nominal injection pressure for many Ford EFI systems is 39.15 psi (270kPa) “across the injector.” The term “across the injector” takes manifold pressure and fuel rail pressure into account, and is usually referred to as “delta pressure.” Ford Performance’s fuel injectors are always rated at 39.15 psi delta, so the fuel injector sizing discussions found below will assume a fuel pressure of at least 39.15 psi delta. There are some exceptions to the above-mentioned nominal injection pressure. In relatively recent years, emissions regulations have become so stringent that the government is now regulating the emissions output that gasoline vehicles are allowed to produce even when the engine is not running! This is referred to as “evaporative emissions” and results from unburned hydrocarbons (raw fuel) emitting into the atmosphere from the fuel tank, fuel lines, injector leakage, intake manifold, etc., when the engine is shut off. This is the fundamental purpose of the charcoal canister (and hydrocarbon trap in the air-box on many vehicles) and is also the reason that Ford and other manufacturers switched to the Returnless Fuel Systems (RFS) found in production vehicles today. These systems have only a fuel supply line from the tank to the engine, with no return line. The primary reason for these systems is that evaporative emissions increase as the temperature of the fuel in the tank increases. On a conventional return system, the fuel is sent to the engine through the supply line, and the excess is returned (via the mechanical fuel pressure regulator) to the tank through the return line. Since the engine is hot, this process heats up the fuel and thus increases evaporative emissions. To combat this, the returnless fuel systems were invented. Currently, Ford uses two primary types of RFS which are called Electronic Returnless Fuel System (ERFS) and Mechanical Returnless Fuel System (MRFS). The latter is the simpler of the two systems and controls the fuel rail to a constant pressure via a (non-vacuum referenced) regulator in the tank, which is typically set to 55 psi. The Powertrain Control Module (PCM) then calculates the pressure across the injector, either by inferring or measuring manifold pressure and subtracting from the calibrated rail pressure set-point. This is referred to as a Constant Rail Pressure (CRP) system. ERFS, on the other hand, has no mechanical regulator at all, but instead has a Fuel Rail Pressure Transducer (FRPT) mounted on the fuel rail that measures fuel rail pressure relative to manifold pressure and feeds that information back to the PCM. The PCM then controls the Fuel Pump Driver Module (FPDM), which in turn varies the voltage to the fuel pump (or pumps) in the tank to supply the correct pressure and flow rate to the injectors. Most of the time this pressure is maintained at 39.15 psi delta, but when the fuel temperature rises, this pressure can be boosted in order to delay the onset of boiling the fuel. Some vehicles also boost the pressure under some conditions in order to get away with using smaller flow-rate fuel injectors for various reasons beyond the scope of this tutorial. This is referred to as a Constant Injection Pressure (CIP) system. Both V6 and V8 Mustang used ERFS between 1999 and 2010 and MRFS from 2011 forward. Example: What is the flow rate for an injector at 43.5 psi if it is rated at 60 lb/hr at 39.15 psi? Since this is the total fuel flow requirement to the engine, we must now divide this by the number of injectors being used to determine the flow rate necessary for each injector so that you can select the correct size injector from this catalog. In this example, we have an 8-cylinder engine using 1 injector per cylinder, which gives: 150 lb/hr/8 injectors = 18.8 lb/hr per cylinder. So, technically, the engine only needs a 19 lb/hr fuel injector to support 300 hp, but this will require that the injector is at nearly a 100% duty cycle in order to achieve this horsepower level. Duty cycle refers to how long the injector needs to be open (flowing fuel) in order to supply the required amount of fuel. If the injector needs a 100% duty cycle at a particular engine speed and load to inject enough fuel, that means it is open all the time. Under most conditions, fuel is injected when the intake valves are closed, which helps with fuel atomization and efficiency. If the injectors need to be on 100% of the time to supply enough fuel, this means that some fuel is being injected while the intake valves are open. Depending on the overlap of the cam in the engine, some of this unburned fuel can be blown right past the exhaust valve, or be poorly atomized, which makes for a less-efficient combustion process. Perhaps more importantly, operating a fuel injector between roughly 85% and 99% duty cycle does not give the injector sufficient time to close before it is commanded to open again. This can cause extreme variability in the amount of fuel actually injected, which can sometimes result in a rich condition. Similar issues exist at the low end of the flow region at extremely low duty cycles, but this is highly dependent on the type and flow rate of each model of injector. In this case, the injector does not have enough time to fully open before it is commanded to close again, which causes extreme variability that can result in a lean condition. For these reasons, we generally recommended selecting an injector with a flow rate sufficiently high that it will not be required to exceed an 85% duty cycle. So, to figure out what size fuel injector will result in an 85% duty cycle, divide the original result by 0.85: 18.75 lb/hr/0.85 = 22.1 lb/hr requirement. Since the next popular injector size available is 24 lb/hr, this is the correct size injector that you should choose for this particular application. Keep in mind that this discussion assumes your fuel pump, lines, regulator, etc., are sufficient to be able to maintain at least 39.15 psi across the injector at all engine speeds and loads (even under boost, if applicable). Now that you have selected an injector, the calibration (or “tune”) in the PCM must either be changed or a different MAF must be used. Example: The following guide is a general rule of thumb for sizing fuel injectors on an 8-cylinder engine using a BSFC of 0.50. Forced-induction engines typically range from a BSFC of 0.55 to 0.65, with the latter value arising from the fuel enrichment necessary to keep exhaust temperatures below 1650 deg F and catalyst temperatures below 1750 deg F.
Remember, the above calculations assume a fuel pressure of 39.15 psid. If you can raise fuel pressure and still be sure that your fuel pump can supply the desired flow rate, then these maximum horsepower numbers will increase.